People speeding down Whalley Avenue, the main thoroughfare through the heart of Westville Village, have long been a concern of neighbors and business owners. A proposed plan long in the works to fix that, which has finally been approved by the state Department of Transportation (DOT), allows the city to install new crosswalks and medians, narrow roads and add visual improvements to the gateways of the village. 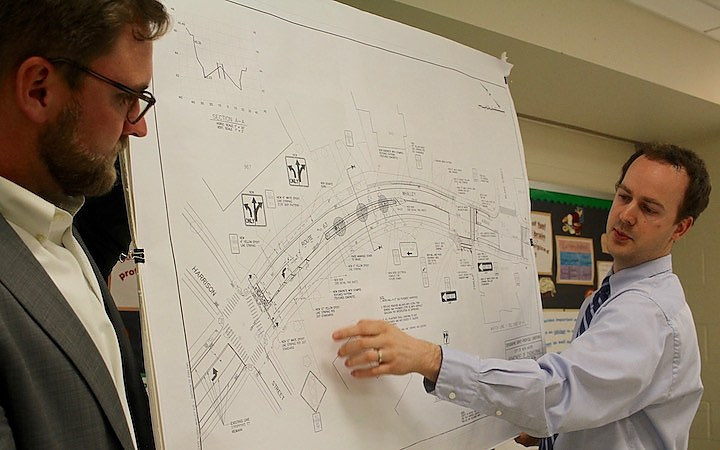 Those gateways will be prominently established at West Park Avenue and Harrison Street. The bulk of the $560,000 project — about $420,000 — comes from the state. The rest will come from city funds designated for “complete streets” projects. New Haven State Rep. Pat Dillon, who began fighting for the traffic-calming money six years ago, reassured neighbors that the state’s current financial woes will not impact funding for the project. The state is facing a more than $900 million shortfall in the next years budget. While that could mean draconian cuts in other areas, Dillon said this money can’t be touched; it is state bond money, already approved.